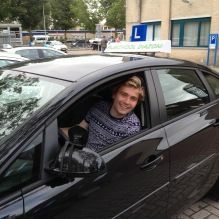 Get your driver’s licence at lightning speed with Rijschool Diazoni in Amstelveen. Finally, taking driving lessons. What a freedom that will bring! After passing your tests you can drive wherever you want. You no longer have to rely on others or public transport. Play nice music in the car, roll your window down on a hot summer’s day, press your foot down on the accelerator, with your driver’s licence in hand, and go! Rijschool Diazoni in Amstelveen makes this possible for you. Get on the Road Affordably with Rijschool Diazoni! Spots have opened up again for new registrations. Sign up and benefit now! 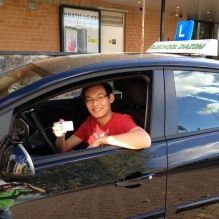 This way, getting your driver’s licence will not only fun, but inexpensive as well. This special offer is only applicable for the first 5 registrants. So be quick! You want to get your driver’s license. Perhaps you’ve just turned 16,5 and want to taking driving lessons. Or perhaps it hasn’t happened until now. Learning to drive a car is best done with someone you trust. A driving instructor who’ll give you all the attention you need. 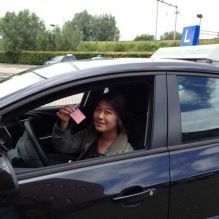 At Rijschool Diazoni your driving lessons will always be private, ensuring your instructor focuses on what you need. You won’t pick up or drop other students off. Even better, you’ll be picked up and dropped off at home every time you have a lesson. 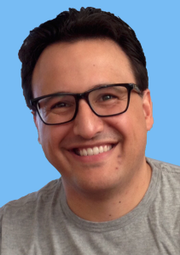 As an experienced instructor, I’ll help you get your driver’s license as quickly as possible. By keeping the number of lessons you take down, we ensure that the cost is also kept down. After all, getting a driver’s license is expensive enough already! At the Amstelveen-based Rijschool Diazoni, there’s no waiting time. 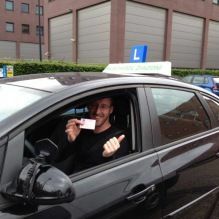 You can start taking driving lessons now, ensuring you’ll get on the road in no time. Have you come to live (temporarily) in the Netherlands? Are you used to driving on the left side of the road? You can take driving lessons at Rijschool Diazoni, that have been especially devised for expats, so you can drive safely on the right side of the road. We are fluent in English and Dutch and have experience with students who are making the switch from driving on the left to the right side. Do you find learning to drive a car (a little) scary? Or have you previously failed a driving test and feel anxious about retaking it? 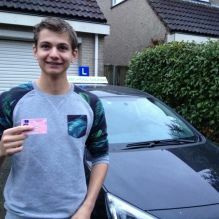 Rijschool Diazoni offers driving lessons aimed at guiding students who have a fear of failure. Ready for Your First Driving Lesson? Call ​06-22909418! Tuesday through Saturday after 19:00. Sunday: for extra practice time if you have a driving exam on Monday.